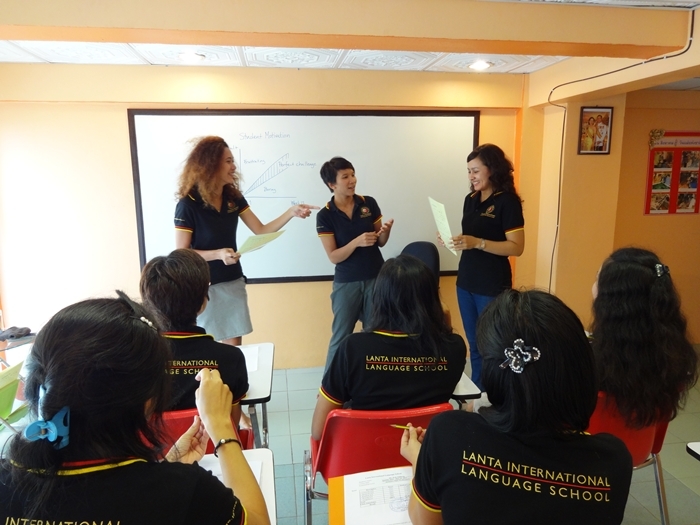 Our motive for starting Lanta International Language School was to provide top quality Thai language courses. Before opening our courses to the public we spent thousands of hours on planning, testing, analysing and improving teaching methods and curriculums so that we were sure that our students would get the best we could offer. After opening, the collecting and analysing of feedback from both students and teachers has been our most important tool for continuing to improve. We also do bring in consultants and join workshops and seminars in order to get new ideas and to keep up with the latest development in pedagogy, didactics and linguistics. 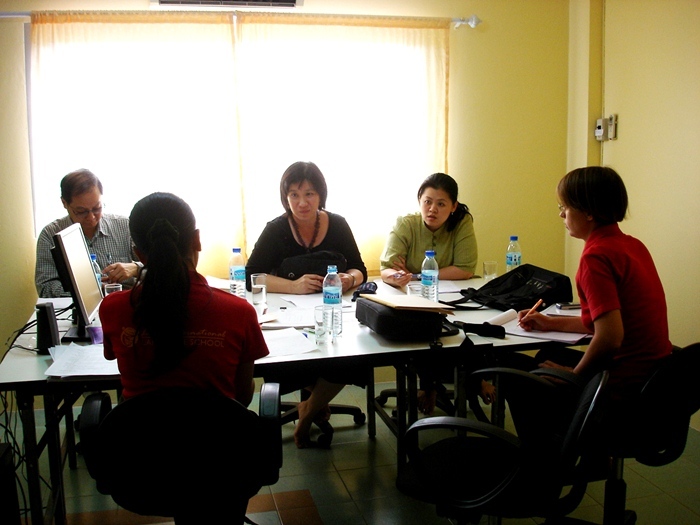 We feel that the only fun and satisfying way to run a Thai language school is to set high goals to strive for and be able to spend time on reaching them. That is why our primary goal is to provide the best Thai language courses in the world. You can therefore rest assured that you will always get the best we have to offer when you study with us. Lanta International Language School is accredited by the Thai Ministry of Education. We have passed the MoE Quality Control and have been graded the best private school in Krabi province. Lanta International Language School is one of very few schools in Thailand that has been approved by the Swedish National Agency of Higher Education. This means that Swedish students are eligible for study grants paid by the Swedish government (CSN) when they study at LILS. Lanta International Language School passed the Thai Ministry of Education quality control and was graded the best private school in Krabi province in 2011. All of our teacher recruits have at least a Bachelor Degree before they start the teacher trainee program at Lanta International Language School. As we use our own way of teaching Thai our teachers get a lot of training within our school before starting to teach their first lessons. The trainee period lasts four months and during that time the trainees get both theoretical and practical training. Teaching methods, lesson plans, assessment practices and classroom management are taught and drilled for at least 160 hours before the trainee meets his or her first real students. Our teacher trainers supervise the first months of classes taught by the trainee closely so that students can be sure of getting the correct course content and experience. An inspection team from the Faculty of Education at Chulalongkorn University, Bangkok (one of the most prestigious universities in Thailand) has visited us several times, checked our curriculums and helped us with teacher training. Training in how to teach pronunciation with Lisbet Gemzell, professional voice coach who teaches vocal skills on TV and at universities in Sweden. 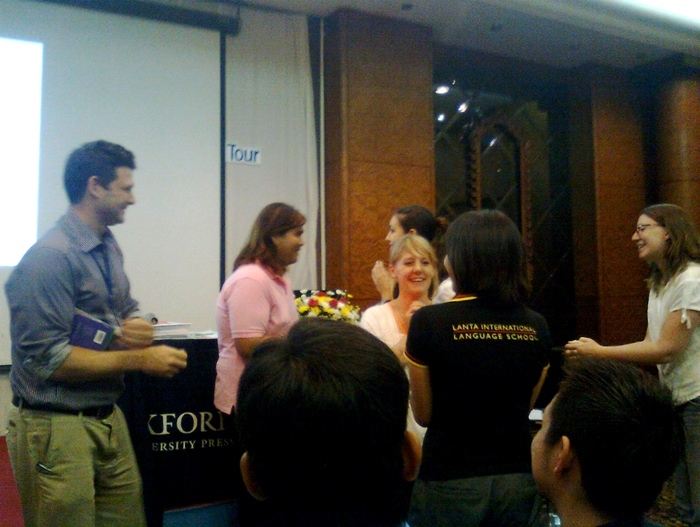 Teacher training workshop in Hat Yai held by Oxford University Press.